We are a top manufacturer, supplier and exporter of Automatic Disposable Face Making Machine from Jiangsu, China. The offered machine is an ear-loop machine which continues its operation irrespective of the presence of human support during any step. Disposable Face making machine produces highly appreciated content which helps it attract more customers. We offer this automatic Disposable Face Making Machine at reasonable prices. 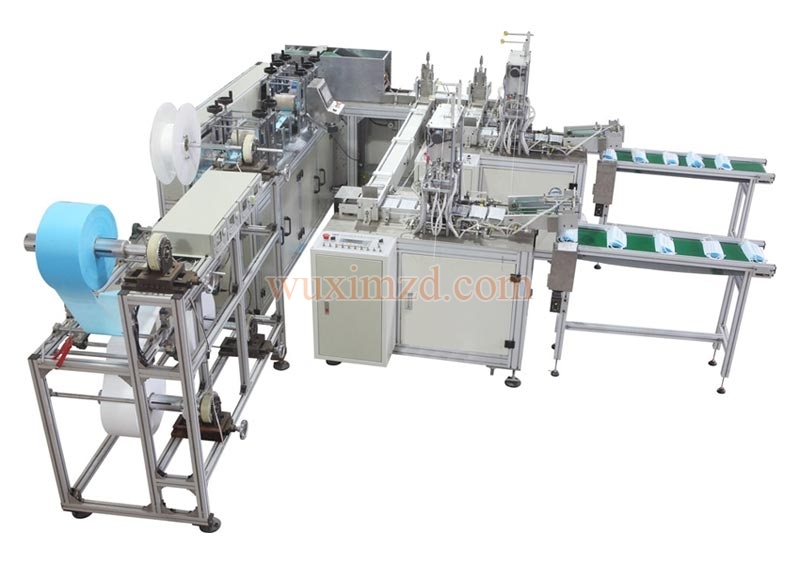 ALT-AUTO175 is a unit of fully automatic ear-loop mask making machine. This machine unify 1 unitALT-175 and 2 units ALT-WD175 by a unit of automated dispenser. Mask bodies produced on mother machine can be allocated onto 2 units child machine averagely by PLC at the speed of 80-100 pieces per minute. All of operation of the machine is controlled through touch screen,the interface of man and machine. The machine is made of aluminum alloy which makes it beautiful,prevented from rust and has a small size.